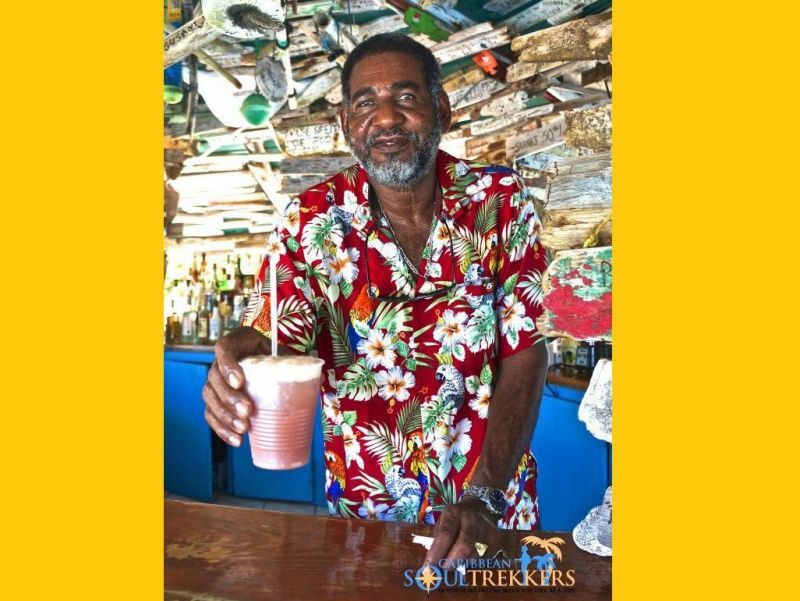 SETTLEMENT, Anegada, VI- The Virgin Islands, and more so the Anegada community and his immediate family, have been in shock with the sudden passing of prominent Virgin Islander and Anegada resident, Mr Aubrey M. Levons. Mr Levons, a businessman and owner of the world renowned Big Bamboo, Hotel, Restaurant and Bar located at Loblolly Bay, Anegada, passed away at his home early this morning Friday November 3, 2017. The late voice of Anegada was a couple days away from his 68th birthday, having been born November 8, 1949. The deceased is survived by 6 children and his wife Mrs Diane Levons. Mr Levons has been a voice for the rights of Anegadians over the years, especially on land title issues. He served on many different government Boards and Committees, and was a lover of local and regional politics. In 1995, with the introduction of the Territorial At Large System, Mr Levons ran unsuccessfully as an independent At Large candidate. 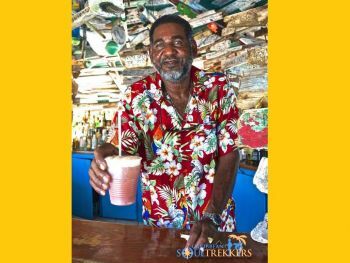 He will be long remembered for his outstanding contributions to the tourism industry, having lived also on the sister island of Virgin Gorda where he owned a Restaurant and Bar before returning to his home island of Anegada. The Board of Directors, Management and Staff of Virgin Islands News Online offer our condolences to his immediate family and other loved ones. Sad, very sad. Rest in peace my brother. To his family,immediate and extended my sincere condolences to you. Man, I just saw the man in Digicel getting his phone tapped up. True Virgin Islander and lover of Anegada first and BVI second, rest in peace. Lord, ah feel this one. He was the Godfather of Anegada. He loved that island from hair to toe nail. The man who was a great conversationalist , and who had the conviction that with two buckets in hand would walk to Loblolly bay in the expectations that visiting tourists would buy cold refreshments from him. Thanks vino just landed to this sad sad news. Just saw him last week at first bank on tortola and we hug and chat. Now this! see life we must continue to live good with each other. Indeed I have lost a great friend. I know that he was very passionate about his country and want to see the best for the island of Anegada. Rest in peace my comrade. i am really saddened by the passing of Mr. Levons. Even though I only knew him personally for over 6 years, it didnt take long for me to realize that this wonderful gentleman of the soil deserved a great deal of respect and admiration. I would never pass him without at least giving him a few seconds or minutes of my time just to greet him and give him a firm handshake given that I am living on Tortola and I would not see him as often as I preferred when he visited from Anegada to run his errands. my condolences to the family, especially his wife, his daughter Kishma, his son Coy, and the rest of the siblings and family members left to mourn. I join you in this time of bereavement. Oh know you are going Mis your first lobster fest something you work hard to create and to keep alive..Such a humble, courageous man that always speak with sense and wisdom.. Sad.. My deepest sympathy to his family. Yep. Greg condolences to you and your family. May you all continue to be strong for each other. Hail to the Comrade Beggo, a man who love his country and people will be greatly missed. You fought the fight you have completed the course, your journey is complete. Ride on my brother a faithful Comrade and Patriot of the Virgin Islands, may your soul rest in eternal peace. We are old friends from Canada, we first met you on Virgin Gorda in the seventies, although we didn’t see you every year we visited, we always felt you were a good friend. Condolences to Diane and the family for the loss of a wonderful family man. We all lost a great man. My mother lost a beloved brother. My father a great friend. And my siblings and myself a wonderful uncle. He's missed everyday. Great business man, greater family man. His impact on people stemmed greater than just the islands. Your in God's hands now, but there's no doubt that you'll be missed and remembered forever right here.